Founded in 2009, headquartered in Chicago, IL. Licensed direct lender offering Installment Loans. Improve your credit score by timely payments. Affordable payments and loan term up to 36 months. 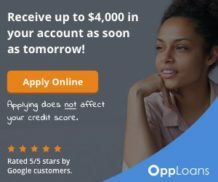 OppLoans is a licensed lender based in Chicago, IL. Established in 2009. OppLoans offers access to personal installment loans in certain states in the United States and is registered as Opportunity Financial, LLC. The company provides two credit products online through its website, Installment Loans, and Lines of credit. The details of each product are mentioned below; however, both the Installment Loans and Lines of Credit are not available in all 50 states. The states in which they are available are listed with each service. Products and Services offered by OppLoans. The loan amount ranges between $1000 and $4000 and depends on a number of factors including your state of residence and income level. The loan term is between 9 to 36 months. This means you can pay back within 9 – 36 months based on your agreement upon application. Upon approval, you can expect to get funded as soon as next business day, however, in some cases it can take a few additional business days if any further documentation is required, and it may also vary based on the time at which your application was approved. What the loan will cost you in APR is between 99% – 199% and varies depending on your state, your credit rating, and loan term. Collateral: You do not need to have collateral to get approved for the loan as no collateral is required. Citizenship: You must be a US citizen or must be a permanent residence in one of the serviced states. State of residence: Only residents of the following states are eligible for a loan. Notice: OppLoans will not be a lender in all states mentioned above, in certain states loans are approved and funded by a third-party lender or by FinWise Bank, a Utah chartered bank, located in Sandy, Utah, member FDIC, and will be serviced by OppLoans. Bank Account: You must have an account in your name that has a minimum history of 90 days. 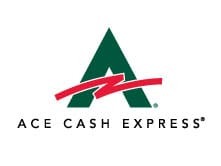 Paycheck: Except for New Mexico residents, you must receive your paycheck through direct deposit. Minimum Income: The minimum monthly income requirement to apply varies from state to state but is between $1,300 and $3,600 per month. This is basically to ensure your income supports your ability to pay back the loan. Employment: You have been employed for a minimum of 3 months to apply and be considered. Age: Except for Alabama and Nebraska residents who must be 19 years and above at the time of applying, all others must be 18 years and above upon applying. Covered Borrowers: You must not be a covered borrower (or anyone in active service or dependents of a member of the military) as defined by the Military Lending Act. You should also have a valid social security number to be considered. This is a revolving credit account that enables the user to have access to money whenever it is needed. It is currently only available in three states: Kansas, Tennessee, and Virginia. 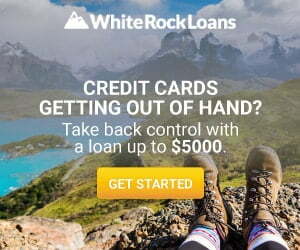 The credit limit for a line of credit is between $500 – $4000 and depends on many factors including your income and the state you reside in. Once approved the line of credit will be accessible to you in its full amount and that becomes your credit limit. You receive the line of credit within a business day of approval. Billing cycle: Once or twice a month depending on how often you are paid. If you get paid once a month then your payments are due once a month. If you get paid twice monthly or every two weeks your payments will then be due twice every month. Every billing cycle you will be charged a minimum required payment on your line of credit. However, if you wish to pay your line of credit quickly or make additional payments to reduce the charges on your line of credit, you can make the payments at any time. Minimum Payment: There is no specific minimum required payment. The minimum payment information is only known after your loan has been structured and funded and will vary based on the state of residence, interest rates, your Credit Limit, and by your terms. Eligibility: Eligibility is basically the same as for the Installment loans, but the line of credit is only available in three states as stated above. For both the installment loans and line of credit, once an application has been approved, you will receive an email notification, after which funds will be deposited into your account by the next business day. This involves any application that is processed and also approved before 9 pm* (Central Time) from Monday to Thursday. If the loan application is approved before 9 pm* (Central Time) on Friday, you can expect to get funded on Monday. Any applications approved after 9 pm* (Central Time) on Friday and Saturday or Sunday will be funded on Tuesday. In cases where additional verification documents are requested approval may take longer than a business day. Loan terms and approval are affected and vary by state laws and credit determination. Prepayment penalty, Hidden charges, Right of cancellation and Credit score. OppLoans does not charge any prepayment penalty or hidden charges in addition to what is disclosed in your agreement. Also, you do not need a good or excellent credit score to be approved; your loan application can be considered even if you have less than perfect credit based on your creditworthiness. You can actually improve your credit rating by making on-time payments through their service, as your payment history is reported to all the major credit bureaus. 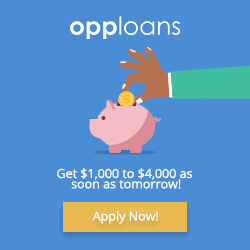 Opploans also provides an option called as the right of cancellation, in-case for some reason if you change your mind and do not wish to move ahead with your installment loan or line of credit, you’ve got an option to cancel it anytime just before committing to the loan or line of credit product. OppLoans does not use any of the top three credit bureaus namely: TransUnion, Equifax, and Experian in carrying out any credit checks. The credit scores of the applicants are supplied by a credit reporting agency called Clarity Services, Inc.
During the application, you are required to verify your banking information to ensure that your verification process completes faster as well as to evaluate your financial information as part of the application process. You may decide to connect to any of the third-party bank verification partners that OppLoans uses. They are DecisionLogic and MicroBilt. BBB Rating A+ Rating with BBB. All loans in states marked with arrow will be serviced by OppLoans. FinWise Bank, Member FDIC, will be responsible for underwriting and approving loans, as well as funding approved loans.